Any student who will enter second through ninth grade during the Fall of 2019 is eligible to be a part of Maryville Young Players! Our 2019 show is the Disney musical, Mary Poppins Jr. We will be performing MTI's Junior version of the show, which has been uniquely adapted for pre-high school performers. 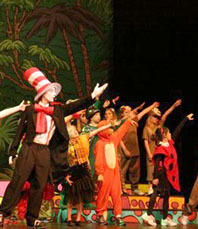 MTI Junior shows run approximately 75 minutes, and are perfect for our MYP performers! Check out the Mary Poppins Jr. page on the MTI Website for character lists, synopsis, and more info! 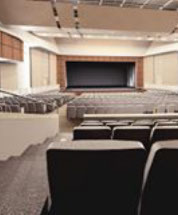 Maryville Young Players takes place at Lee & Nina Schneider Center for the Performing Arts at Maryville High School. See a map! Our 2019 camp will begin May 28th and run through June 16th. Performances will be June 14-16. Lead characters will have extra pre-camp rehearsals about a week before camp starts. Campers will attend every weekday, either from 3:30pm - 5:30pm or 6:00p.m. - 8:00p.m., depending on cast assignment. Visit our calendar page for all of the 2019 dates. MYP helps young people from around the northwest Missouri region develop an appreciation for the performing arts by teaching the fundamentals of musical theater. Why is that important? Google "music brain development" and you'll get a glimpse of why we do what we do. Oh, and it's a LOT of fun! 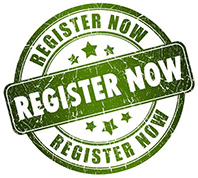 Registration for the 2019 Maryville Young Players Summer Musical Theatre Camp is CLOSED! Come see our show, June 14-16!